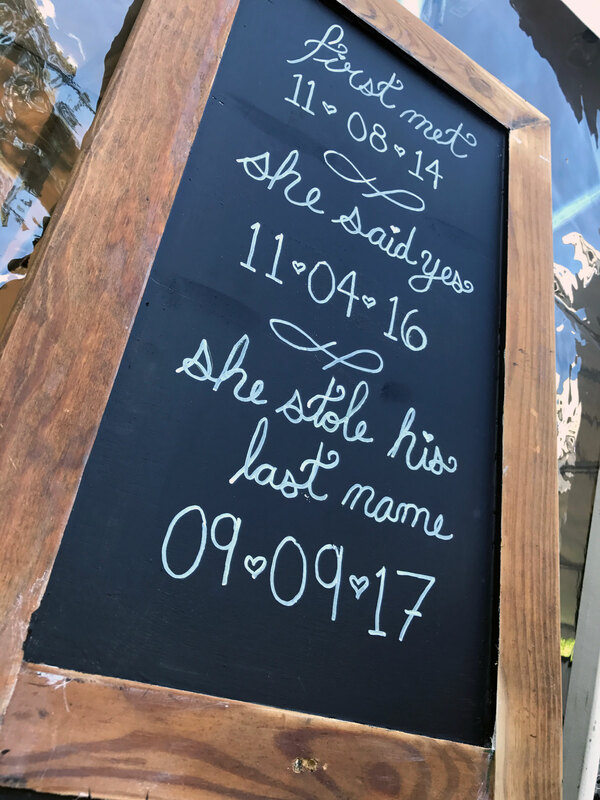 When my friend Liz was marrying the love of her life, she wanted a custom chalkboard to welcome guests to their nuptials. 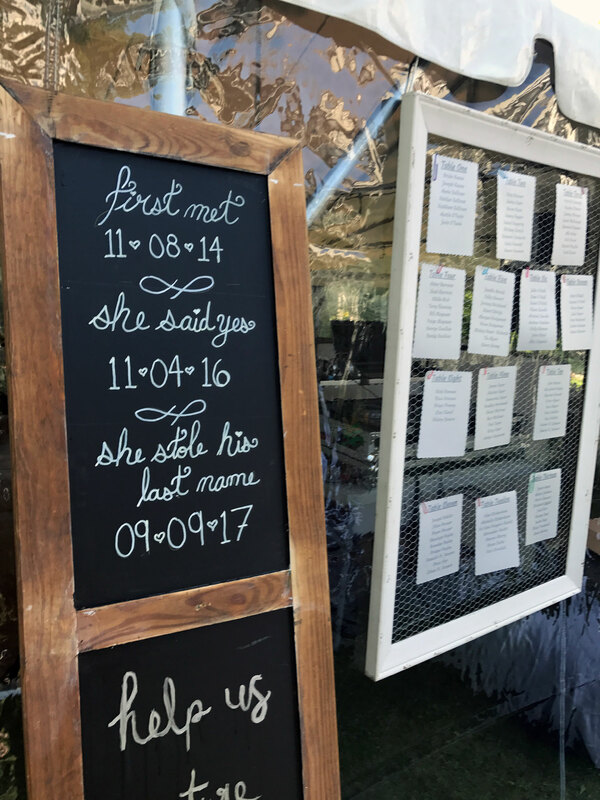 After she received her custom-airbrushed tray and saw the lettering work I did at my cousin’s wedding, she reached out to me to help create the perfect welcome chalk board. 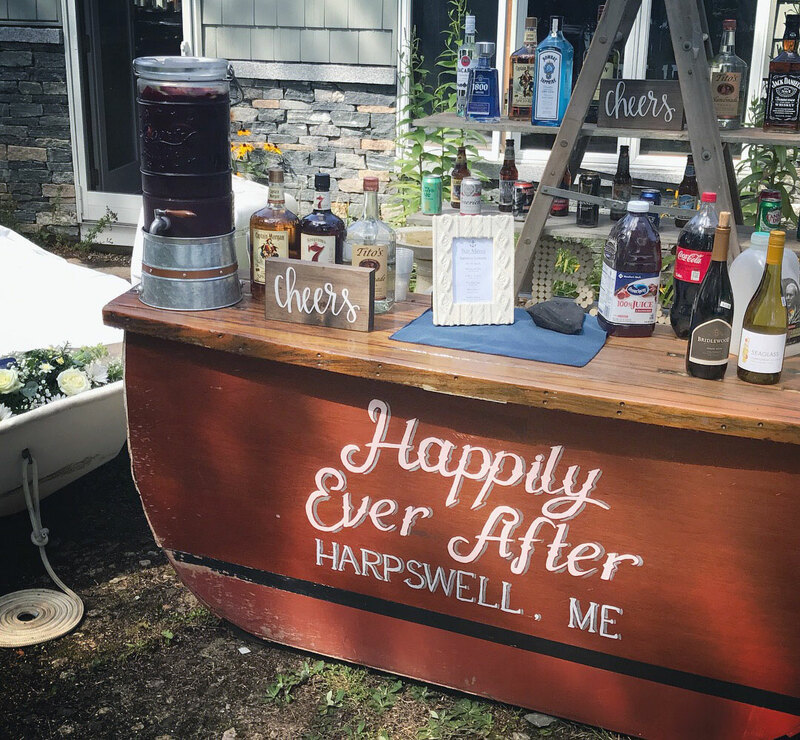 When my cousin Zach got married, he and his wife had this cool idea to transform this boat stern bar he used for events at his store into a custom bar for their wedding. 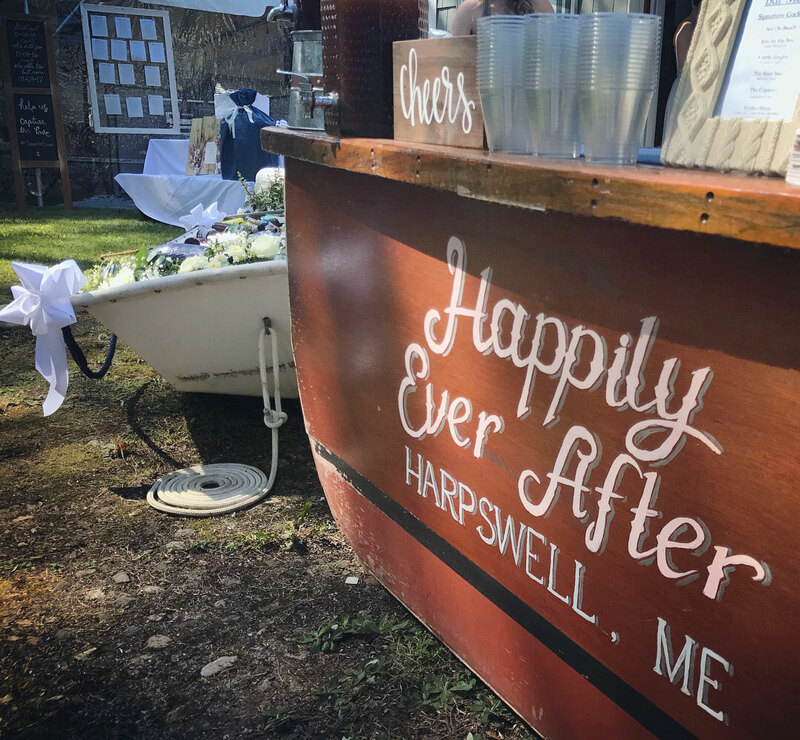 Since I happened to be up in Maine for the wedding, my assistance was requested in painting this custom bar and for some lettering on some of their chalkboard signage. Debuted at the RAW: Trend showcase, hosted by RAW: Natural Born Artists at The Belmont in Austin, TX. 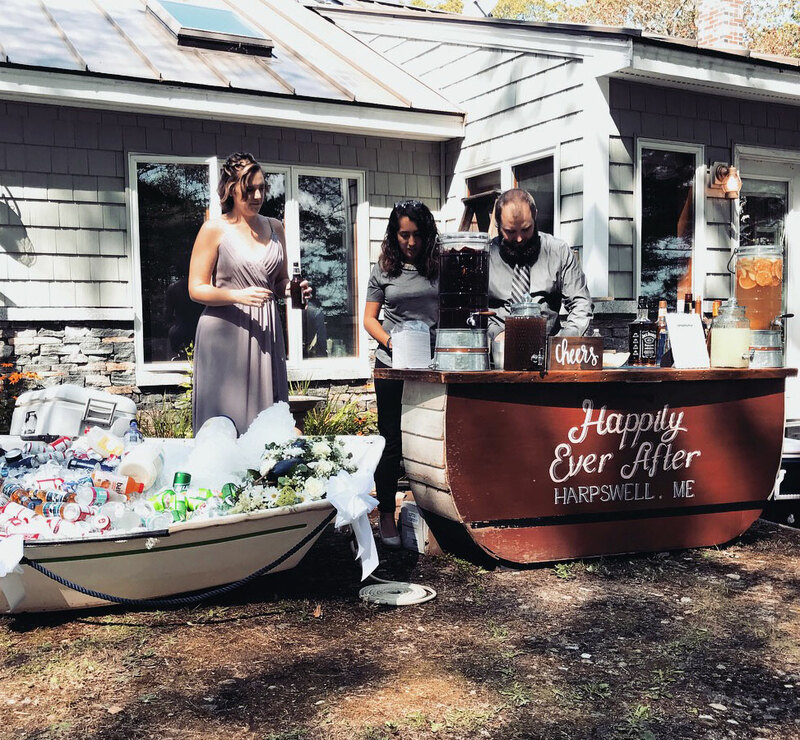 As part of her Gold Award project with Girl Scouts Beyond Bars Troop 1500, Lindsey Martinez worked closely with non-profit farm Urban Roots, where she’d interned the year prior. Her goal for Project Feed the Roots was to set up a perennial garden in an unused space in front of a shed to increase food production. To further beautify and promote Urban Roots’ mission, she wanted to do a mural on the front of the shed. Playing off the farms original name Hands of the Earth, she sketched out her concept for the mural, incorporating themes of diversity, community, and sustainability. The next step was figuring out how to get the mural on the shed. 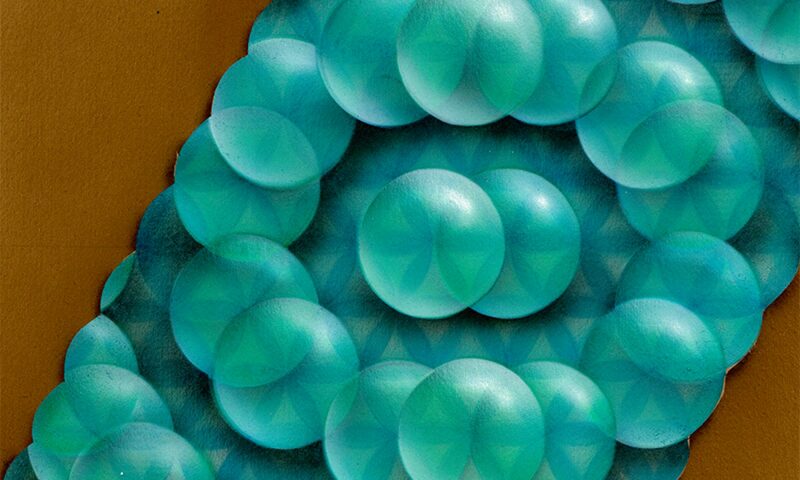 As a mentor volunteer with the troop, the troop leader knew my experience with painting through my art-nership, BAMFaktory. Naturally, she reached out to me to ask for advice on how to execute and see if I would like to volunteer with Lindsey’s project. Since I’d yet to have the chance to do a mural, I was ecstatic to have the opportunity to help out. Debuted at the David Bowie Tribute Art Show, hosted by Super Rad Collective at Jerry’s Artarama in Austin, TX. Published in Starman: Fans Say Goodbye to David Bowie compilation book (2017), by Weeva Bookstore.